This is my absolute favorite cheeseball. 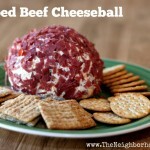 It’s my mother’s chipped or dried beef cheeseball. She has made it for every holiday and get together we had and it was always a hit! Pair with some party crackers or Triscuits and it’s perfect! In a large bowl combine by hand (or with a sturdy spoon if you are squeamish!) all ingredients, except the reserved chipped beef. When combined, form into a general ball shape and wrap in plastic wrap. Store in fridge for at least 8 hours to let the flavors meld. When you are ready to serve, remove cheeseball from wrap and roll in the reserved chipped beef. Enjoy! But don’t blame me if you can’t stop eating it! When you are ready to serve, remove cheeseball from wrap and roll in the reserved chipped beef. You can also choose to forgo the chipped beef altogether, or roll in crushed walnuts. Michelle is the mom of a very active 9 year old boy. 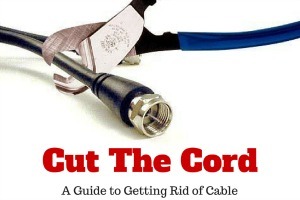 She recently left the workforce to be a SAHM and is learning to cut back to make it work. In addition to this busy life, she loves to do computer geekery with websites, graphics, and video games, as well as reading and cooking! It definitely looks delicious. I’ve never heard of chipped beef before though. It kinda looks like crumbled bacon. I edited the list to link to it on Amazon, but you can find it in the canned meat section of the grocery. It’s basically what it says, dried beef. Adds a great flavor and texture to a cheeseball! You can also find chipped beef where the pre-packaged lunch meat is. Buddig is the brand I use. I like it better than the canned. I’ve never heard of chipped beef before either but I must say, this does look pretty good. I’m sure it makes a great party food. That looks delicious! I may try that soon. Oh my!! That sounds rich and looks tasty! Love how quick this is to put together! So easy to make. For some reason I always thought these would be difficult. Looks incredibly delish too. I’ve had these before and LOVE them! I think it’s my favorite cheeseball. Mmm this looks tasty AND easy! Wow!! This looks YUMMY and very easy to make! Thanks for sharing! That looks so good. I love making cheese balls for parties! That looks so good! I once ate an entire cheeseball in one sitting LOL. Many years ago! 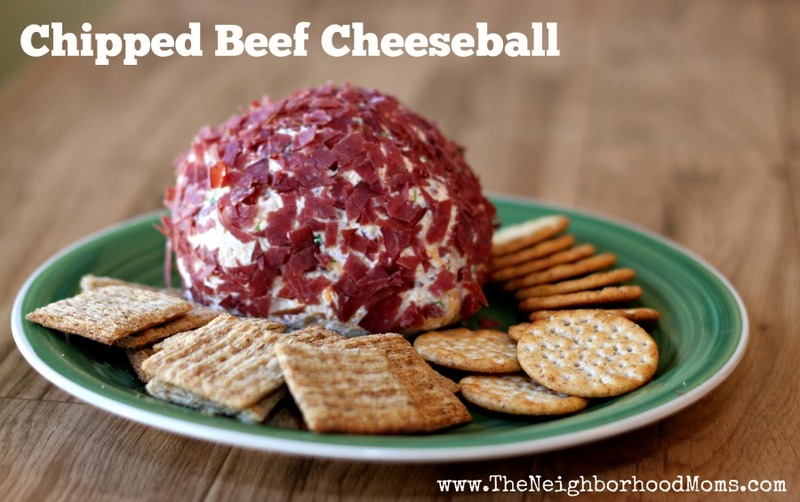 I’ve actually never made a cheeseball, but now I want to! It looks super easy. I think this would be a big hit in my family – I made a cheeseball shaped like a snowman over Christmas one year and that thing got devoured so fast! That does look delicious. Thank you for sharing it!! Yummy! That looks so good! My husband would want one all his own! that looks really good! we have game nights with friends on Fridays and this is going to make this weeks menu! You made that look so beautiful too! Looks so easy and FUN for parties! Cheeseballs are the perfect party food! I didn’t realize making a cheeseball was so easy. I’m going to try this and hopefully won’t need to purchase them anymore. Pinning. 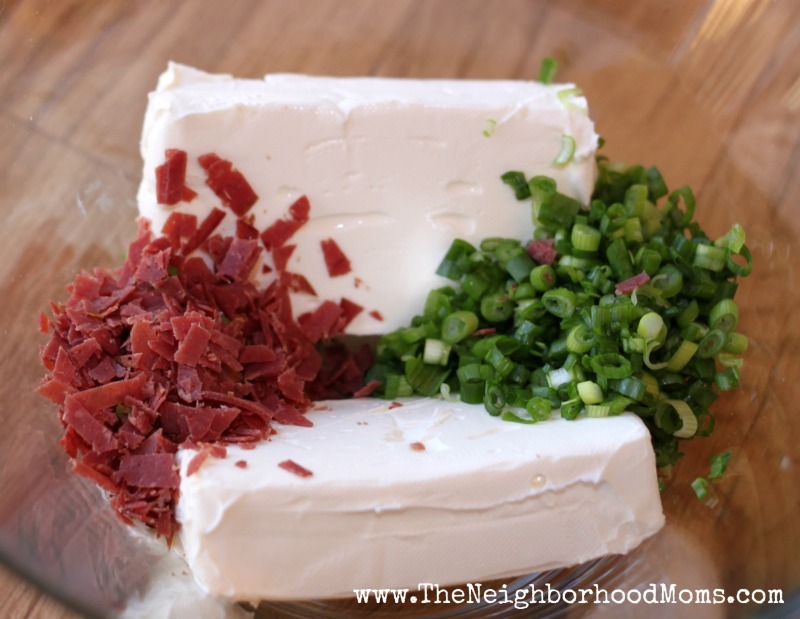 I’ve never bought chipped beef before, but I can imagine it would make a tasty cheeseball! my mother used to make this for parties…i remember helping roll it in the reserves pieces. i had forgotten about this…thank you for bringing back a memory!! and YES, it was delicious! I’ve made this cheeseball for 40 yrs. With some changes. I use garlic and onion powder not salt. I’ve always used armour chipped beef that’s very salty. So I use the larger jar, split in half and rinse half in very warm water and drain, and most recent since I’m not supposed to have salt I rinse all. I have seen some recipes call for salt or msg..neither is needed in my opinion. I also chop some for inner part of the ball and really thin shreds to roll it in , I only use cream cheese, no cheddar. I’m lucky if this lasts past the main meal at my house.